Some boats are just meant for maximum family-fun. The Hallett 290-S Walk-Thru is definitely one of them. What’s the seating capacity? Enough. Leave nobody at home and still have plenty of room to spare for water toys and wakeboards. 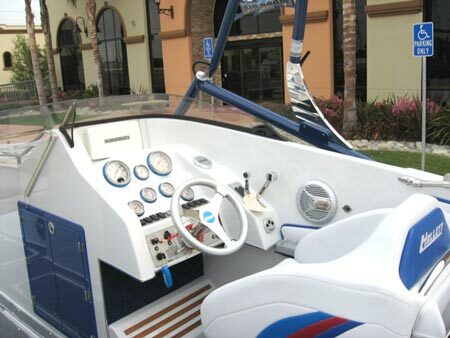 Versatility and comfort are what this boat is all about. What’s this? Hallett offers every option imaginable. 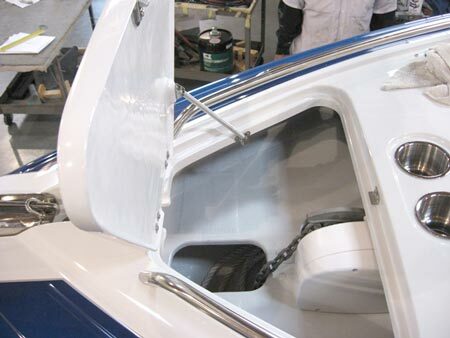 Just ask for an automatic bow anchoring system with a windless and it’s yours. We said this boat has big ideas, now you see why. This cockpit and bowrider are immense. 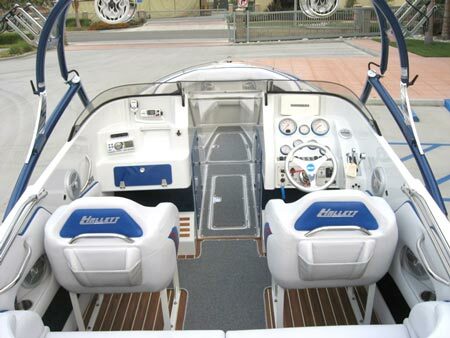 Note the spacious walk-thru passageway and how about that custom wakeboard tower with racks and stereo speakers? Making the most of what you’ve got is a Hallett specialty. 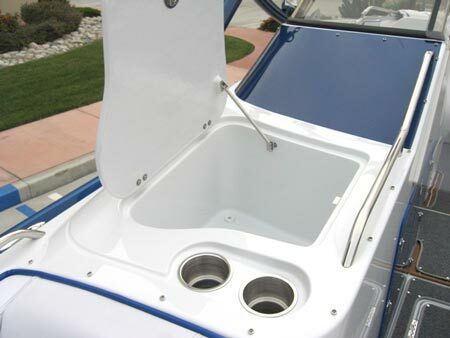 Checkout the built-in beverage coolers on both the port and starboard just aft of the bowrider seating compartment. Handy place to grab a cold one. Somebody has to drive, it might as well be you. Slip behind the wheel and you’ll like what you find, comfort and class. Enjoy the built-in footrest, it’s there just for you.